“I’m sorry” was all she could utter before she slowly kissed me goodbye. There was no trace of remorse or pain in her eyes, which made me more confused and hurt. Questions were continuously echoing in my mind but the words couldn’t form and my voice was somehow lost in the strong sound of the cold wind blowing. “Where did I go wrong?” I asked myself. I gave her everything and I showered her with all the love and attention that I could ever give. I never stopped even for one second in thinking of ways on how to make her happy. I gave her everything and but she just threw them all away. “It’s been four years.” How time passes by so quickly. Before I thought that I would never learn how to live without her. But look at me now. I am here and living a wonderful life. I am famous now. I have already saved enough money to live a comfortable life, if the time comes and I lose my fame. “I should be happy,” I uttered out loud. But why is it that I still feel empty even though I know I already have so much to be thankful for? “Where are you?” Even though I said I have forgotten you. I know my heart still longs for you. “Aaahhh Hollywood… Do you think we can have a stroll afterwards? Christmas is just a week away. We should be out and buying gifts already. So do you think we can go out?” Changmin asked Yunho as soon as they arrived at their hotel. “Hey take me with you, if you go out. I want to take a stroll too,” Junsu exclaimed excitedly. Changmin’s enthusiasm quickly vanished. His hyung was right. They had a hectic schedule to keep. “Aahhh … hyung, why do you need to be so cruel? You could have at least made me day dream a little bit longer,” he uttered with a deep sigh. Yunho and Junsu couldn’t help but laugh. “You can always order using the phone,” Jaejoong teased. Yoochun, Junsu and Yunho laughed out loud while Changmin just sighed in defeat. “Hey, you guys… We’re going out… Would you like to come along? I already talked to your manager and he already gave you permission to go out with us,” another one of the senior staff members said to the DBSK boys. The DBSK boys cheered. Somehow they couldn’t believe that they finally have some time to relax. “I’m sorry, sir… Please forgive me… Please give me another chance,” a familiar voice kept on repeating. Jaejoong quickly looked around the place to see where the voice came from. And his heart immediately started beating wildly as soon as he laid his eyes on her. “Please sir… Just give me another chance… I really need this job… “ the girl begged again. The girl started to cry. “But… I told you… my daughter was sick. I have no one to take care of her. Her sickness got worse so I had to bring her to the hospital. That’s why I had been absent for 3 days straight,” the girl continued to explain in between sobs. “Look, I can’t have an employee like you. You’re too unreliable. Yes, I know it isn’t your fault. But I need someone who can be here whenever I need them and not someone who always have problems. Do you know you’re like a magnet that attracts too many problems? I really pity you. But this is business… Sorry,” the store manager uttered. The girl cried harder. She was totally confused. She was thinking about her daughter. How was she going to take care of her now? She had no job, no money and no one to turn to. “Mama…” a little girl happily greeted her mother as she entered the small apartment they were renting. “Why are you crying?” the little girl asked. She sweetly gave her mother a warm embrace. Seul Rin closed her eyes. She needed to be strong…. for her daughter’s sake. She would just try to find another job as soon as possible. “Everything will be all right,” she tried to reassure herself. “Mama, I’m hungry,” the little girl softly said. “Wait… I am going to prepare something,” Seul Rin replied. She quickly opened the refrigerator expecting to see some foods to prepare and cook. But to her dismay, it was empty. The only thing it contained was a bottle of water. She quickly took out the envelope in her pocket. It was her last paycheck. She started to count its content and then she took out the money she had in her wallet. She sighed. She was supposed to pay the rent on the apartment today. And the total money she had wasn’t even enough to pay half of the rent. “Mama, I am hungry,” the little girl repeated. Seul Rin stared at her daughter and her heart felt like it was being torn into a million pieces. As a mother, it was too painful for her to see her daughter asking for food and she had nothing to give. There were times that she kept on asking herself, if she was such a bad person to deserve such a life. And most of the time, she just kept on cursing herself for the foolish thing she made in the past. “Maybe if I didn’t left him… maybe I wouldn’t be miserable now,” she uttered to herself. “Mama, I am hungry…” the little girl started to cry this time. Seul Rin hurriedly took her daughter in her arms. “Ssshhhh… we’re going out to buy food… Don’t cry…” she uttered. She was about to step out of the apartment when… the moment she opened the door… someone was already waiting outside. “Hello Seul Rin,” Jaejoong said while his eyes were focused on the little girl in front of him. The little girl stared at Jaejoong and smiled. “Are you our new neighbor? Or are you here to collect the rent for the apartment? My mama doesn’t have enough money now… Do you think you can give her some more time?” she sweetly said as if pleading. Seul Rin bit down on her lower lip. She felt so small and degraded at that exact moment. If only she could run away and hide. Jaejoong felt his heart was being crushed. He felt pity for the child in front of him. He then stared at Seul Rin. But she just looked away. Somehow she was afraid to look at him. Jaejoong smiled at the little girl. “You’re hungry?” he asked sweetly. “Come on… We’re going to buy something delicious…” he uttered as he gently took the girl from Seul Rin. Somehow Seul Rin didn’t have the strength to do anything. She was numb all over. She just gave her daughter to Jaejoong without any complaints, and just followed them as they walked to a nearby convenience store. As Jaejoong carried the child in his arms, his heart kept on pounding. Something about the child was making his uneasy. “What’s your name little one?” he asked sweetly. “Hana,” the girl replied. “My mother said she gave me that named because my father likes that name very much,” she added. Jaejoong’s heart instantly stopped after hearing the girl’s answer. “Hana,” he couldn’t help but utter. Somehow his hold on the child became tighter… Immediately he felt like he could never let go of the child ever again. 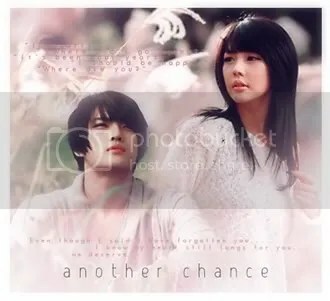 They were already back in the apartment when Jaejoong finally confronted Seul Rin. “Is … is she my daughter?” Jaejoong asked with a trembling voice. Seul Rin just kept her head bent down. She didn’t know what to do. She knew she couldn’t lie. “Yes,” she simply replied. Seul Rin couldn’t control her tears. She just cried as Jaejoong kept on asking her. “Seul Rin…. Why?” he asked as tears also streamed down his face. “Because… because my mother was sick at that time… I needed a large amount of money and I didn’t know where to get it…. The president of your company suddenly offered me the amount that I needed for my mother’s operation… In exchange, I was … to leave you. He said I was just a disturbance in your career,” she finally confessed. “What?” Jaejoong asked. He never expected the truth was so twisted. “So you’re saying… you left me because of… money?” he shouted with anger. Jaejoong felt like someone just hit him straight in the face. The anger in his heart was immediately replaced with pity. He then carefully looked at the only woman he had loved. She was obviously very thin and looked very tired. He could only imagine the kind of hardships that she went through during the last four years. His heart immediately softened after he thought about her situation. Somehow he couldn’t imagine her working while she was pregnant with their baby. “How… is your mother? Why are you alone?” he suddenly asked Seul Rin. “She…. She died three months… after I left you. The operation wasn’t successful. It just prolonged her life for a bit,” she uttered as she tried to control her sobbing. responsibilities with you? Why didn’t you just tell me the truth? If you needed the money at that time, I could have helped you. We could have done something. You didn’t have to leave me. You didn’t have to lie to me. Do you know how much I have missed you? … I still love you Seul Rin… Everyday I think about you and I miss you,” he said as he allowed all his tears to fall. She cried as she finally felt his warm embrace again. How she had missed him… She still loved him after four years. He was the only he had loved and will ever love. “I’m sorry… I’m sorry…” she uttered repeatedly. Hana screamed happily as Jaejoong lovingly tickled her continuously. “Papa, stop it… stop it,” the little girl said as she tried to catch her breath. Not far from them… Seul Rin was busy preparing their lunch. “Hey, lunch is ready…” she announced. Jaejoong lovingly carried her daughter and carefully placed her on a chair. “What’s for lunch?” he sweetly asked his wife. “Your favorite,” she replied with a smile. “Merry Christmas,” he then uttered with the sweetest smile that immediately made Seul Rin’s heart skip a beat. “Merry Christmas too… and I missed you…” she replied back. Jaejoong couldn’t help but smile again. “Tomorrow I am the one going to prepare our meal… I want to serve my queen… forever and ever …. and ever” he said as he lovingly touched her cheek and gave her a quick but very memorable kiss. Their search was finally over. Fate had given them another chance. And as they lovingly looked into each other’s eyes, their hearts were already beating as one. They were finally together now and nothing was going to separate them again….